Oaxaca City is one of the most popular destinations in Mexico – from museums to markets, find out the main attractions in our Oaxaca City Guide. Oaxaca is the start of the banana pancake trail in Mexico after departing Mexico City. The best things to do in Oaxaca City can occupy a day, but the true highlights are located around Oaxaca. Monte Alban is a massive ruin city, and Mitla has ruins with ornate stone patterns designed into building facades. You can also visit the Tree of Tule, which has the world’s stoutest trunk. Another oddity in the area is Hierve El Agua, where mineral-laden springs have formed permanent cascades over the cliffs. However, we are going to explore your base of Oaxaca first. Welcome to the Oaxaca City! The highlights of Oaxaca City are congregated north of the Zocalo. Your first stop should be Museo de las Culturas de Oaxaca (65 pesos/$3.45), which houses artifacts from Monte Alban. It also traces the history of Oaxaca from pre-Hispanic times through present day so it should offer a solid Oaxaca City guide. The explanations are only in Spanish, but many of the exhibits are self-explanatory. Located next to Museo de las Culturas de Oaxaca is impressive Iglesia de Santo Domingo. The entire church is filled with ornate designs that line the walls and ceilings. The ceiling at the entrance captures the lineage of Santo Domingo as it displays his family tree. Make sure you visit the Capilla de la Virgen del Rosario for the church’s finest reliefs. The ceiling is comprised of religious figures watching over you. Located behind Iglesia de Santo Domingo is Jardin Etnobotanico, which used to be the monastery’s grounds. Today, it has been transformed into a garden showcasing the biological diversity in Oaxaca despite a strong focus on cacti. Access to Jardin Etnobotanico is by a guided tour only (100 pesos/$5.30). Two hour English tours are given at 11 am on Tuesday, Thursday, and Saturday. Iglesia de Santo Domingo and the Zocalo are linked by pedestrian friendly Calle Alcala. Along the street are restaurants, travel agencies, and galleries. 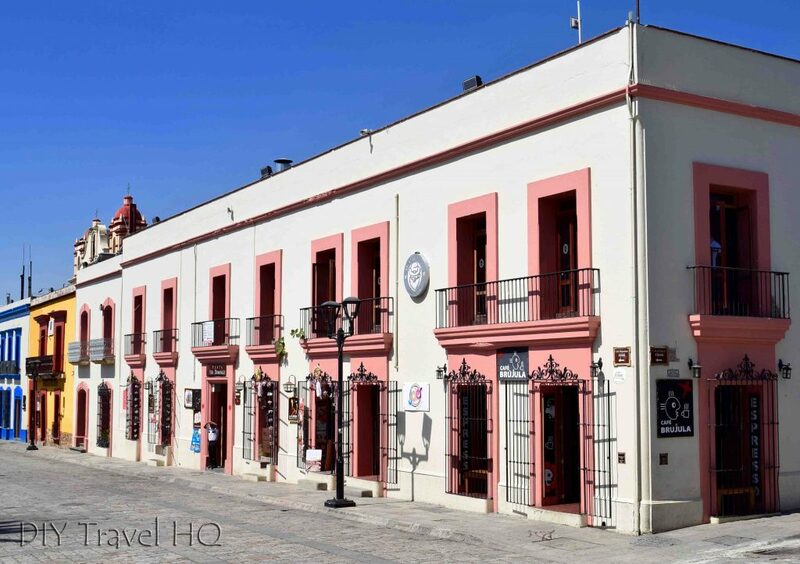 If those are of no interest, then our Oaxaca City Guide suggests just admiring the architecture along the way is reason enough to walk down Calle Alcala. Next up in our list is The Zocalo & the adjacent Alameda de Leon. Combined with Catedral de Oaxaca, all three city blocks create a car-free district in the heart of downtown. Relax under the shady trees, or partake in impromptu dancing that is bound to occur during your stay in Oaxaca. Shadowing over the entire area, the Catedral de Oaxaca has fine carved stonework facing Alameda but has a plain interior. The Palacio de Gobierno lines the south side of the Zocalo, opposite the cathedral. Across the street is Iglesia de la Compania, and worth a look. South of the Zocalo are Oaxaca’s markets. Due to current interior renovations, they have taken over much of the surrounding streets. It is possible to find a lot of the indigenous artwork and handicrafts there, as well as fruits and veggies. A local delicacy are crickets, which can be found in stalls and on carts. Another noteworthy religious institution in Oaxaca is the Basilica de la Soledad. Both the façade and interior have an heir of sophistication with the right balance of embellishment without being tacky. Fans of Rufino Tamayo will be disappointed to learn that Museo Rufino Tamayo (40 pesos/$2.15) is actually not comprised of his work, but rather displays his personal collection of pre-Hispanic art. Many of the ceramic and stone pieces are excellent examples of artwork from all over Mexico before the Spanish arrived. However, many archeological museums around the country show similar items. The explanations are in Spanish, but there are English cards for information as well should you choose to visit. If you would rather not pay to see art, then there are multiple galleries dispersed throughout Oaxaca. Most are small and the art is questionable, but there are some diamonds in the ruff. The most interesting temporary exhibit we came across was a collection of pictures and videos depicting random men falling backwards. It was the continuality of the theme that was most impressive. If you found yourself admiring the local handicrafts, then the Museo Textil (free) may be of interest. The exhibits were being replaced upon our visit, but they did have many hanging weavings still on display. In Oaxaca City, the adventurous can try eating crickets! For the rest of us, a Tlayuda might be more up our alley. It is essentially an oversized quesadilla. Refried beans are smeared across a giant tortilla, and then covered with lettuce, meat, avocado, and salsa before typically being folded in half. Aside from tacos, most dishes in Oaxaca are bigger than their Mexican counterparts. Taste a handful of crickets in Oaxaca City! Oaxaca can be reached from Mexico City, Puebla, Veracruz (464 pesos/$24.70, 8 hours), and Puerto Escondido (412 pesos/$21.90, 11 hours, OCC). ADO and affiliate bus companies have a near monopoly on the city. Luckily, the ADO terminal in Oaxaca is one of the few, if not only, locations that provides discounts for advance bookings in person and not just online. 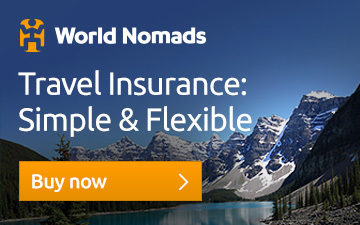 Buying your ticket at least 24 hours in advance can save you up to 38%. Local buses cost 7 pesos/$0.40, and colectivos are another affordable option. They run specific routes and are the maroon and white taxis on the streets. 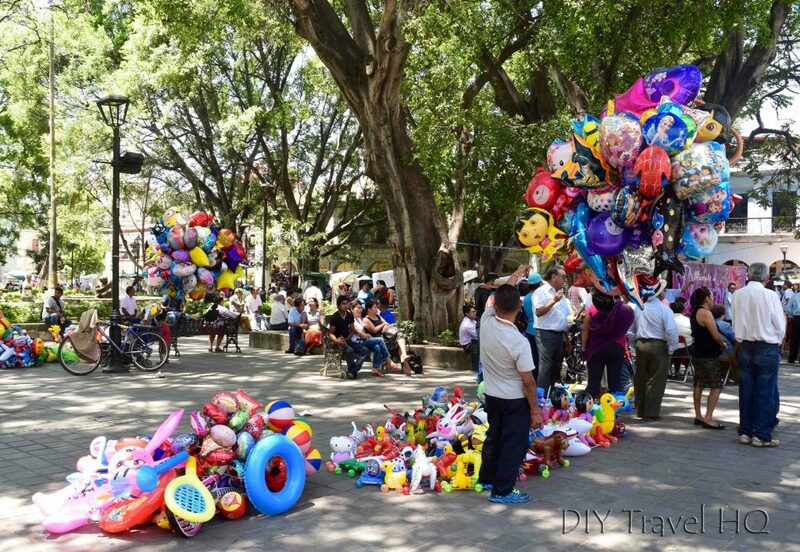 Did you enjoy reading our list of Things to do in Oaxaca City?! Have you ever visited Oaxaca City?